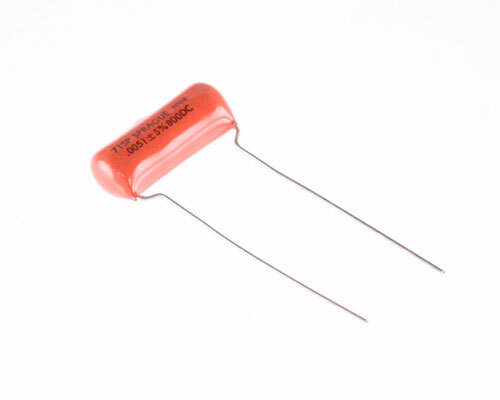 715P682916LD3 radial film capacitor. Orange Drop Series 715P. Capacitance: 0.0068uF at 1600V. Tolerance: 5%. Dielectric: Polypropylene. 715P682916LD3 capacitor features: very low dissipation, low dielectric absorption, excellent capacitance stability. Ideal for high current, high pulse applications. Made in USA.